For those who have difficulty walking, the Tramper mobility scooter is available for hire at the Discovery Centre. 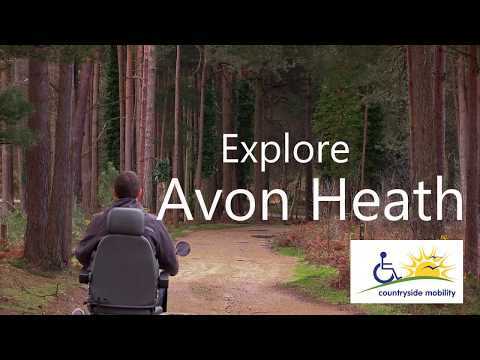 The Tramper provides safe, enjoyable and easy access around most of the trails on Avon Heath. It is extremely robust and comfortable and is regularly used. Users must be members of the Countryside Mobility Scheme, which also enables use of Trampers scooters at other sites that have them locally and further afield too. Application for membership can be made at the Discovery Centre – do check the terms and conditions before coming. There will be a training session of maximum 15 mins to ensure the Tramper can be used comfortably and safely and a deposit is required while in use. Booking is essential to make an application and to use the Tramper. To check availability please call in or ring the Heathland Discovery Centre. Voluntary donations are very welcome. Last year it cost about £200 to service and maintain the Tramper, in addition to Ranger time and electricity costs. Please help us cover the maintenance costs and keep it running for all to enjoy.